I decided write on 'team work', because I personally feel that team work is a very important part in any field. I am a footballer and I was the captain of my club football team, so I very well know how important is teamwork in any field and I realised that sports like football, cricket, basketball etc., needs proper team work to win the match, as in the end it is a team game not one man army. Team work is all about working together in a group of people in order to complete the specific work. It is considered to be a very crucial part in any business because the employees are needed to work togather to perform a particular task. In business world, the combination of individual skills and constructive feedback even after individual conflicts make a successfull teamwork and all these things are handled by a single person called team leader. There are many positive points which can be highlighted - like communication and information exchange can be facilitated and increased, creates trust factor among the employees, encourages risk-taking in innovative ideas, boosts the confidence of individuals and allows them to do their best work. For every advantage of working in a team, there is the flip side. Basically, there are just too many people, too many ideas, and too many “experts” to come to an agreement and achieve a good result. It is simply why we have to constantly be reminded that there is no ‘I’ in team. Also, less flexibility may be experienced in personnel replacement or transfer. 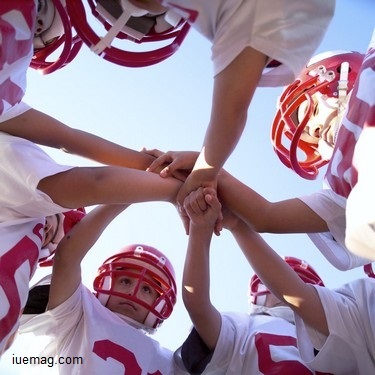 Now the question arises - why is team work important? The answer is it doesn’t mean everybody doing the same thing or everybody being able to do each other’s jobs. It is more a synergistic way of working, where the sum is greater than the parts. Properly managed, team work maximises strengths, bringing out the best in each team member. These specific, possibly unique individual strengths are then complimented by the strengths of others, or of the team as a unit.